Shedding tears is natural. 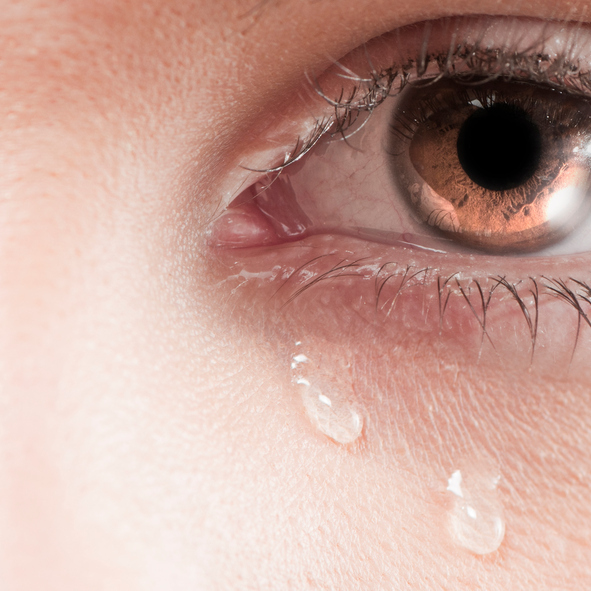 As much as some people shy away from the act of crying, there are several benefits to tears, even those that are provoked by overwhelming joy or sadness. We’re going to take a quick peek at the different types of tears and why we can appreciate them all. Before we discuss what may cause tearing, let’s look at what a teardrop is. There is more to the fluid produced in the tear ducts than water. Tears also contain mucus and oil. The function of water is obvious, it lubricates the eyes. Oil and mucus are necessary, though, for that water to remain in the eye long enough to achieve its purpose. Tears do not differ in their makeup. Where they differ is in what causes them to be borne. The tears that we most often think of (and most often wish to avoid) are emotional tears. In actuality, it is believed that, when we cry, our tears have a detoxifying effect on the body. There are also what are called reflex tears. If you’ve ever been affected while cutting an onion, you are well-acquainted with this type of tearing. Finally, basal tears are a type of tearing that is ongoing and mild. These are the tears that keep the eyes sufficiently lubricated so that they do not become irritated. Most of us realize, if we take a moment to think about it, that tears are pretty important. One bout with dry eyes is enough to prove this point. When tear production doesn’t occur as it should, the surface of the eyes become overly dry, which prompts uncomfortable symptoms including excessive watering (there’s those reflex tears! ), scratchiness, and the sensation of having something in the eye. In many cases, chronic dry eyes are related to the Meibomian glands. These glands, which facilitate tear production, can become clogged. Historically, the irritation from dry eyes has been treated with eye drops. This is merely management. Today, we can correct the problem by unblocking the glands that produce tears. At Roholt Vision Institute in Canfield, Alliance, and N. Canton, patients can get relief from chronic dry eyes with LipiFlow treatment. It’s fast. It’s comfortable. It works. Contact us to learn more about how to treat dry eyes.